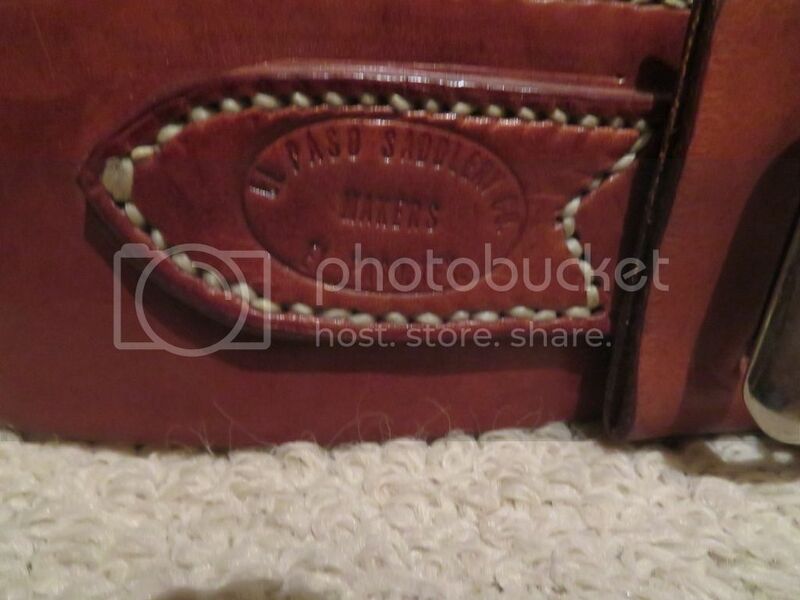 Rare and unusual money belt made by El Paso Saddlery company that I got from Bobby McNellis years ago. It is made from one piece of leather which is folded over and sewn along the seam. Popular in the West due to its ability to support a pistol, as well as to conceal important papers and coins. 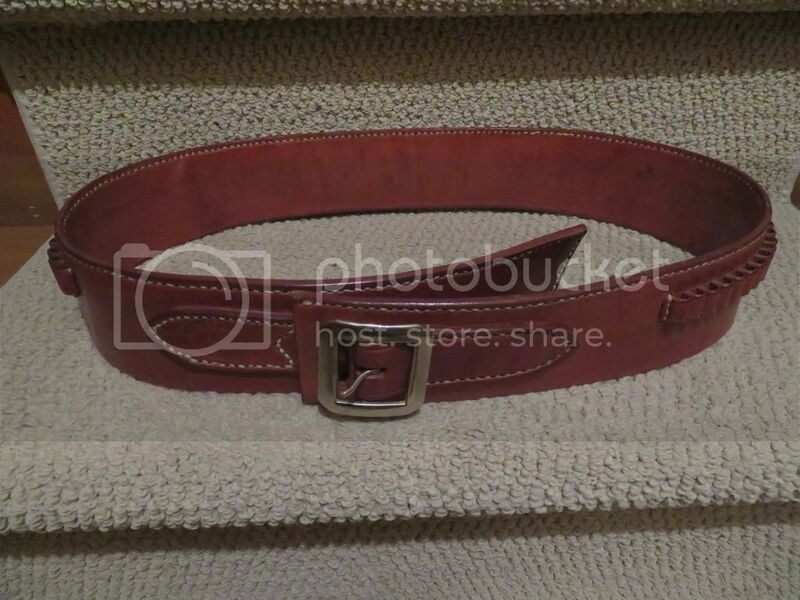 This is their #1 Money Belt and it has 72 cartridge loops for .22 – that’s a lot of stitches and cartridges! 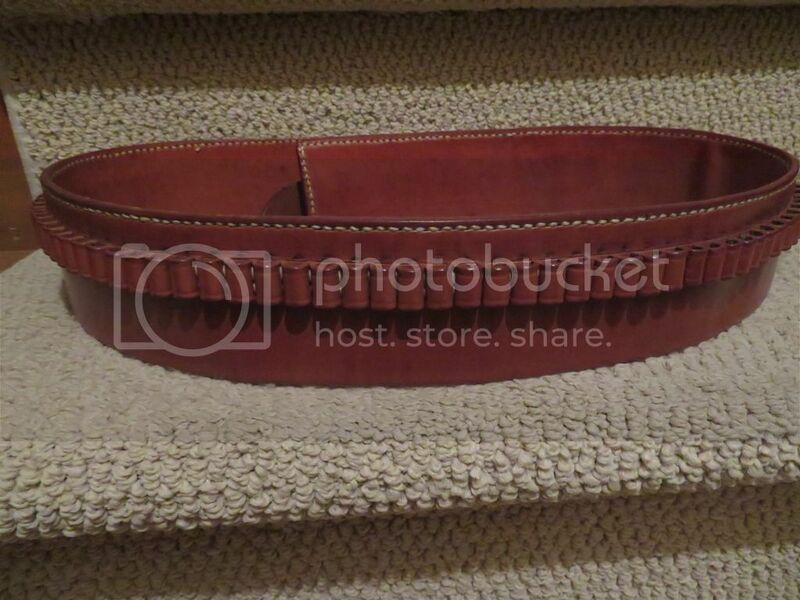 The belt is 46” long with holes from 40” to 44”in beautiful shape with their traditional nickel silver clip point buckle and I am asking $115 shipped to the US and Canada. Thank you for looking.